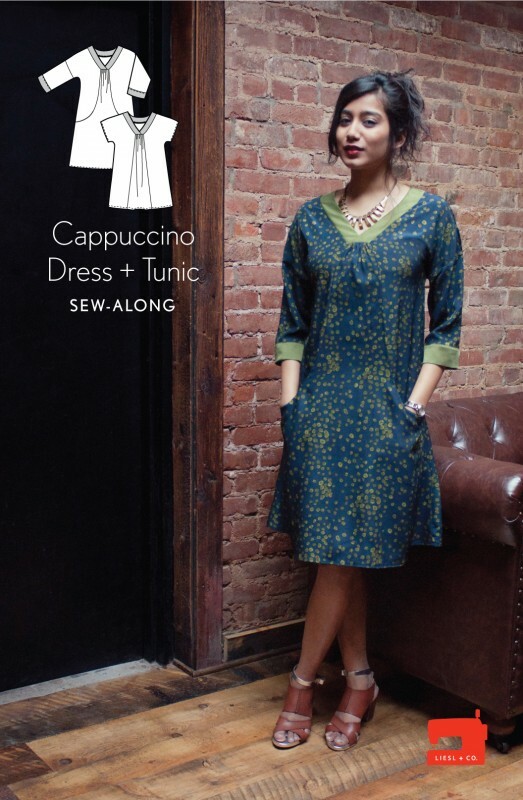 Who’s up for a Cappuccino Dress + Tunic sew-along? We hope you will join us next week when we will be hosting one. This pattern was very well received when it was released almost a year ago. The flattering v-neckline, those cool almost-hidden inseam pockets, and the loose fit are all very appealing. Today we’re introducing the sew-along. We’ll cover the fabric and supplies you’ll need to make your dress or tunic. There’s also a little photo round-up to offer a bit of inspiration. After that, you’ll have some time to buy your pattern and all of the supplies you might need before we kick off the project. 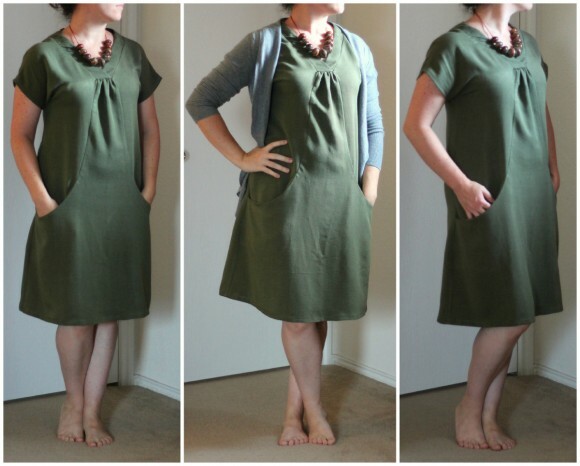 You can sew a little each day, or the posts will be up indefinitely if you decide that you want to sew your dress or tunic at a later date. This easy-going pullover can be made in two lengths—as a tunic or dress. Both styles feature a flattering V-neck and crossover neckband with a softly gathered front detail and options for either a kimono-style short sleeve or a three-quarter-length sleeve with contrast cuff. The dress includes unique on-seam pockets in a flattering curved seam. This pattern works best with light-to medium-weight woven fabrics like quilting cotton, chambray, lawn, shirting, poplin, broadcloth, sateen, voile, linen, washed silk, and rayon. Coordinating thread, lightweight fusible interfacing. 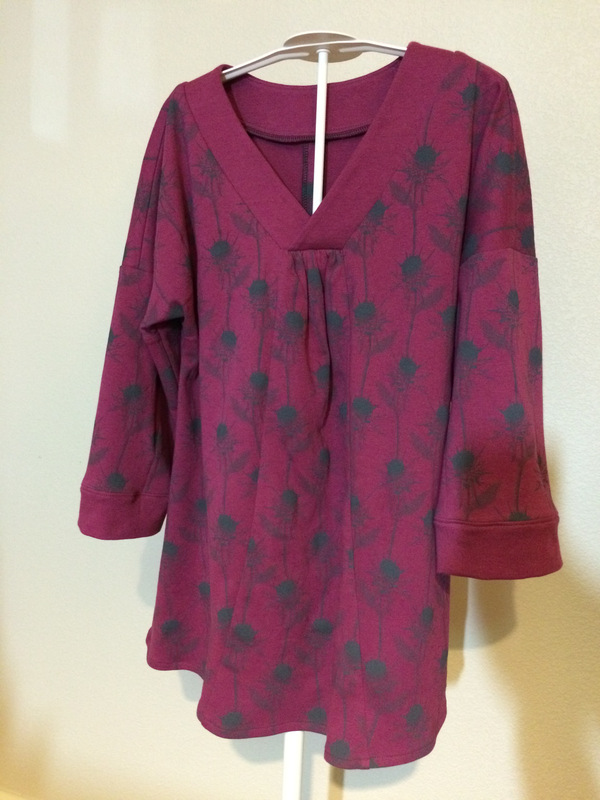 This tunic was made by Jeanne and is in an Amy Butler voile. Do you remember it from the Liesl + Co patterns round-up? 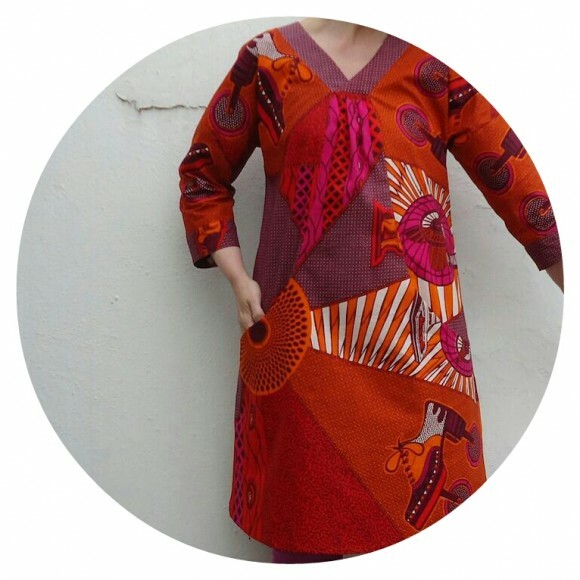 Daniela sewed a dress with a bright red, orange, and pink African wax print cotton fabric. Tricia used an Anna Maria Horner interlock where she used the wrong (unprinted) side of the knit for the neckband and sleeve cuffs. 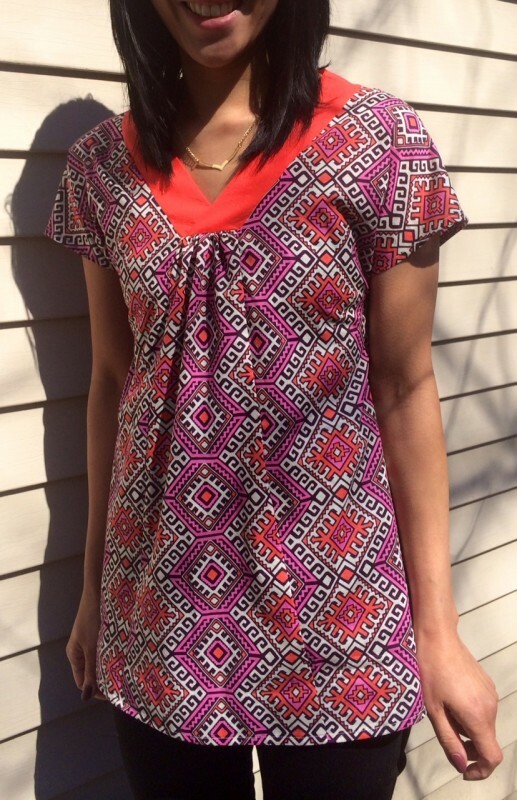 This tunic with modifications was sewn by Nicole. 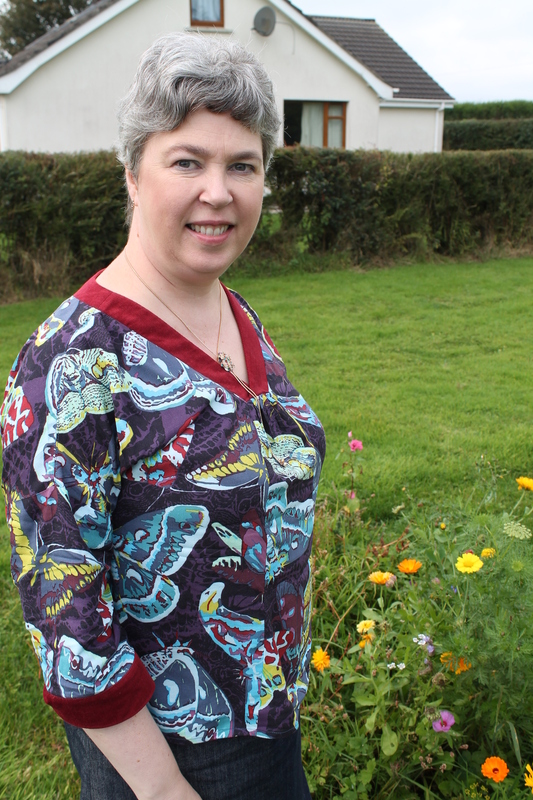 Another tunic, but this time by Jen who used an Anna Maria Horner Sinister Swarm fabric. Lastly, Aja sewed this green dress. We do hope you will participate. Feel free to grab this optional badge for your blog to show your participation. Gather your pattern, fabric, and supplies and we will see you here on Monday, March 9th! By the way, the timing works out perfectly with Selfish Sewing Week which starts the same day. We cannot wait to see what you make! Be sure to add your completed Cappuccino tunics and dresses to the Liesl + Co flickr group. Yay! I’m in! I have had this one for a while and it always gets bumped down to keep up with the kids sewing, perfect excuse to pull it out now. I want to join in too! I not sure if I will have time with such short notice though. Oh, I have a terrible time with the digital patterns! I wondered if this pattern eventually would be available in print? I’d really like to try it. Count me in. I have my material ready. Just need to print pattern. YAY!!!! I haven’t done a sew-along before but this is a lovely pattern and I’d really like to try it. I’m just starting to see for myself, having sewn for my kids for a few years. Having just finished a Coco by Tilly Walnes, I thought this would be a great next challenge. Am having a good old mooch around for fabric right now. Feeling excited. Got my button ready and pattern printed. I plan to be there! !